Once US AIR stopped offering points for Amazon the only way to go was ½ a point via Hawaiian. Now they are up to 1 full point per dollar spent. ← 100,000 Delta GOLD Skymiles for 2 cards but HUGE $$$$$$$$ spending required! I’ve been doing this for a few weeks now. For those of us who buy most of our stuff on Amazon, this adds up fast! I’d also recommend evrewards.com to check, since I realized I could get 6 pts/$ at Eddie Bauer thru the Ultimate Rewards mall rather than 2.5 pts/$ thru Hawaiian. Remember, you have to have 5,000 points in your account before you can transfer to Hilton. 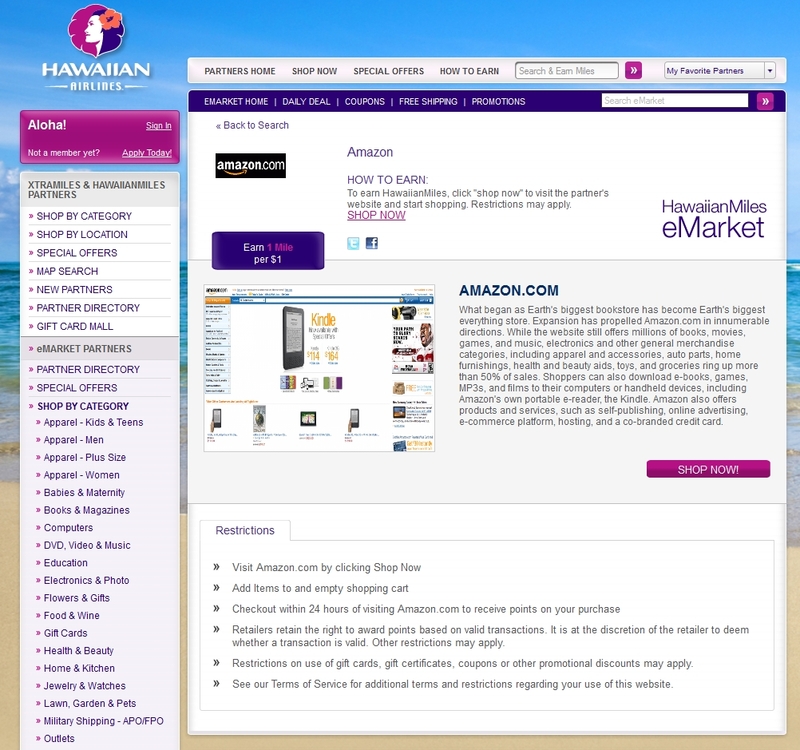 Since I use Hawaiian Airlines only for the transfer to Hilton, I have downloaded the toolbar for searches as well. If it’s 2 Hawaiian for 1 Hilton, would be like getting 1/2 a Hilton point for every dollar spent at Amazon, not 2. @ djsoulglo – sorry – I try to make the verbiage clear but guess I did not. 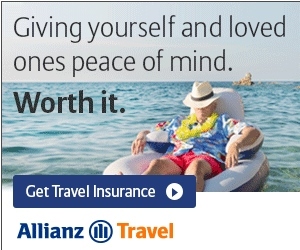 What do you think of that reworking of the post to make it clear that you can get 2 Hilton points for 1 Hawaiian?!? Starting in January you should be able to use your Chase Freedom at Amazon for a bonus percentage as well.